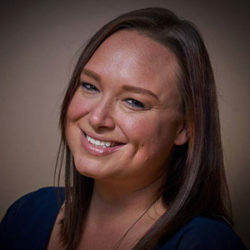 Lisa has extensive experience in the event world, planning everything from large tech conferences, to weddings, to corporate events, to small VIP gatherings. She received her BS degree from Colorado State University in Restaurant and Resort Management, and her MS in Organizational Leadership with a focus in Strategic Innovation and Change Management from Colorado State University-Global Campus. Lisa is excited to be a part of the No Barriers team, as the mission and values resonate strongly with her, as she has had to overcome barriers of her own. When not working, Lisa spends time with her husband, three sons, and two dogs! Lisa also has a passion for travel and loves exploring the world, and has a bucket list wish to visit all 7 continents.